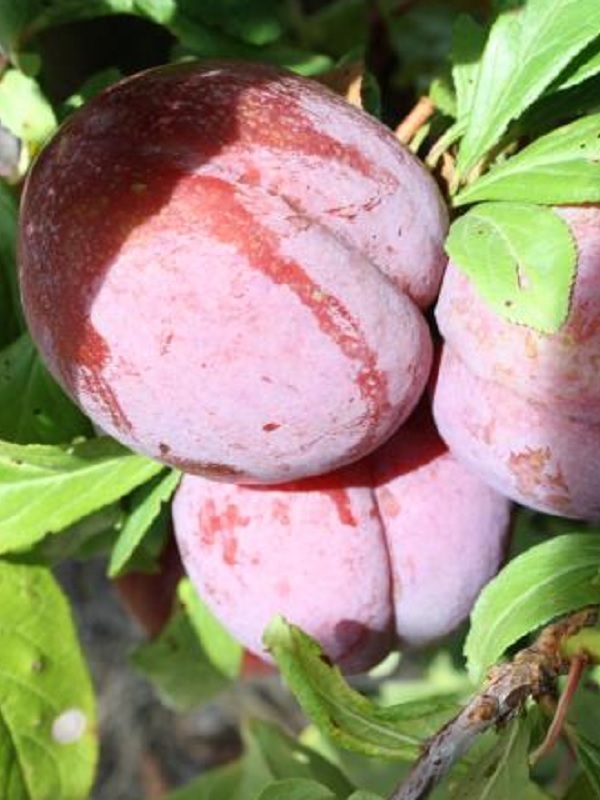 Japanese early to mid-season, medium to large red-fleshed, deep-red–skinned plum that is soft and juicy and has good flavour. It bears heavily on a rather low, spreading tree. It comes into bearing early and is reliable. Recommended for its small size, very good dessert qualities and reliability. Partially Self-Fertile, though pollinators are Burbank, Elephant Heart, Omega and Santa Rosa.